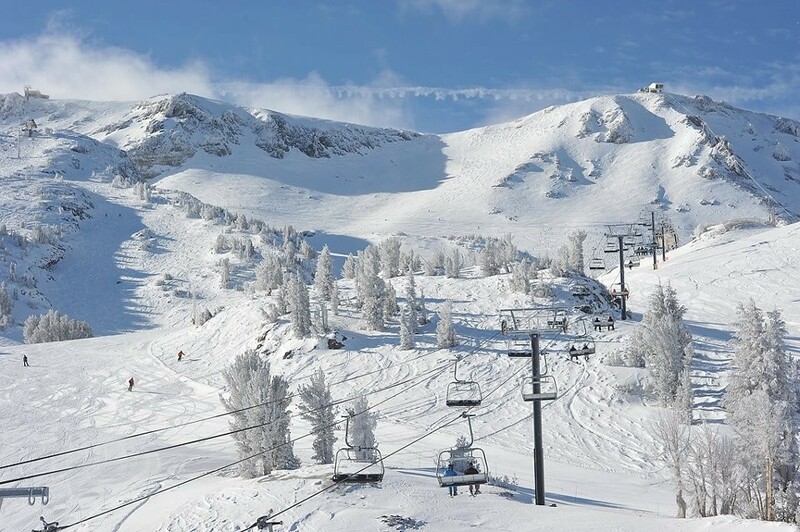 Read skier and snowboarder-submitted reviews on Mammoth Mountain Ski Area that rank the ski resort and mountain town on a scale of one to five stars for attributes such as terrain, nightlife and family friendliness. See how Mammoth Mountain Ski Area stacks up in the reviews, on and off the slopes, from skiing and family activities to the après scene. Read up on pros, cons and other comments in reviews left by fellow skiers and riders. Don't forget to submit your own Mammoth Mountain Ski Area review! Scroll to the bottom of this page to let other travelers know about your skiing and resort experience. For more destination information, click Add to Compare to see a side-by-side comparison of Mammoth Mountain Ski Area vs. other ski resorts (up to 10 total). With so much varied terrain and friendly staff it is hard to have a bad time at mammoth. On crowded days once away from the base loges lift lines ware quick and the runs open. There are multiple great eating options for lunch, but the lodges and restaurants could use a refresh. The price is VERY high. Share your experience at this resort to help other skiers. Snow Report and Powder Alerts! By clicking on the "Submit" button below, you agree to follow the guidelines in our Posting Policy. NOTE: If you represent the management of this property and would like to respond to a review, please use the management response form. Which Ikon Pass makes sense for you? Check out the 2019/2020 season ski pass prices for the Ikon Pass options here.